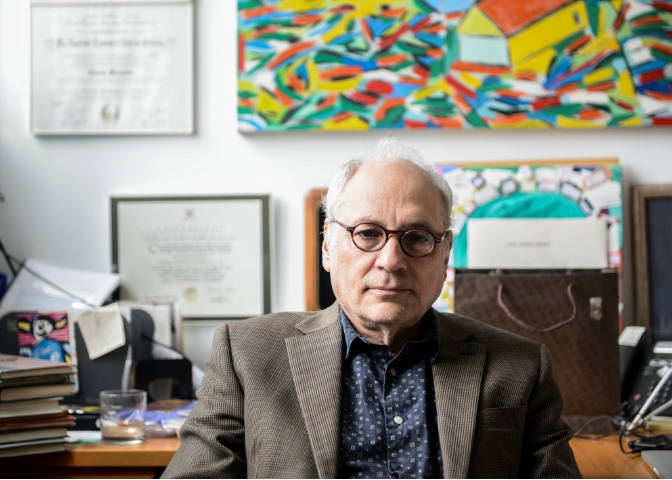 Charles Bernstein, Donald T. Regan Professor of English and Comparative Literature, is featured in Penn Today's article, "'Near/Miss': Penn professor Charles Bernstein publishes a new poetry collection." This Q&A between Louisa Shepard and Bernstein discusses Near/Miss, published this October, and Bernstein's views on poetry in America. Bernstein is the author of fifteen books of poetry and five collections of essays, co-founder of PennSound, the internet’s largest archive of poetry readings, and editor of the affiliated Electronic Poetry Center. He has been teaching at Penn for fifteen years.